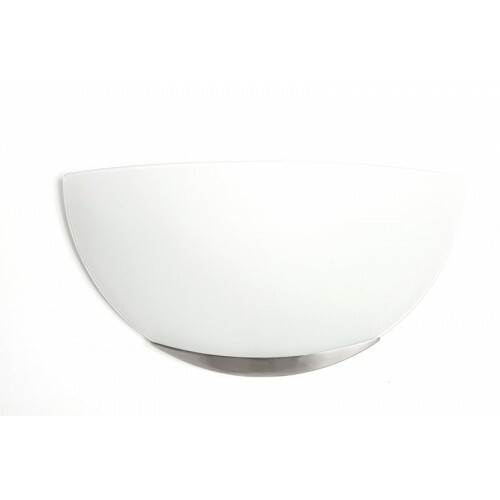 Opal white acid etch glass wall light with single trim. 300mm wide x 150mm high with 95mm projection. 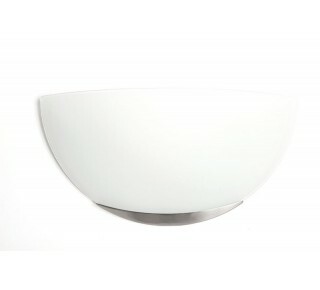 Uses 8.7w dimmable LED or 150w max J118 halogen lamp - included.